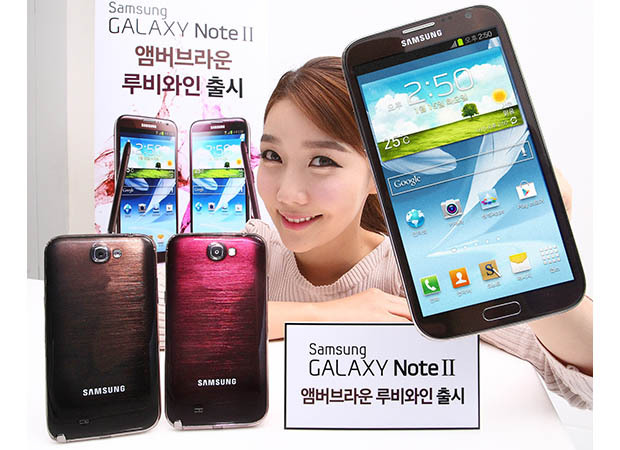 This morning, Samsung introduced two new colors for their popular Galaxy Note 2 device, amber brown and ruby wine. We have seen amber brown on the Galaxy S3, but this new ruby wine red color looks pretty fantastic, in my opinion. As far as availability, it looks like those only in Korea will have access to the new colors, at least for now. So, tell me what you really think of these colors. If I pony up for a ruby wine Note 2, I don’t want everyone mocking me. Would you sport either of these two new hues?